EKL Alpenföhn reveals the Matterhorn, a new tower heatsink with copper base, five heatpipes and aluminum fins that are cooled by a 120mm fan. 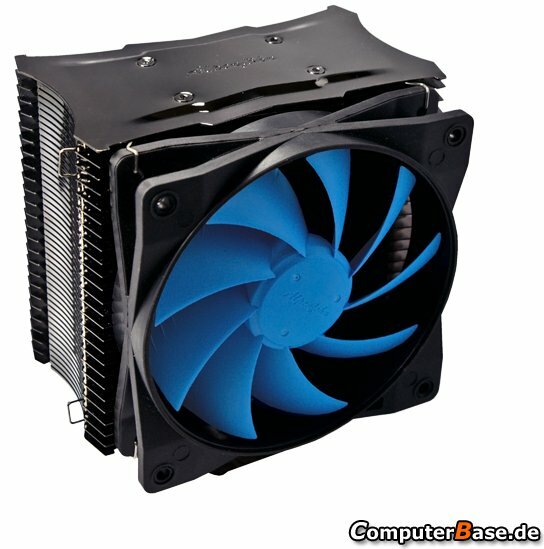 The cooler measures 138mm x 100mm x 158mm (incl. fan) and weighs a whopping 1067g. The Matterhorn kit includes an adapter to cut the voltage to 5V or 7V, and comes with mounting kits for the Intel LGA775/1156/1366 and AMD Socket AM2/AM2+/AM3.